I cannot believe how quick these months are flying by! But I sure am glad we are on to warmer months now, as a little spot of sunshine can make a large difference to our mood, and the lighter nights are perfect for sitting in the garden. Today I have six monthly favourites, which I have recently been loving, some new out, some I have been wanting to try. NYX #thisiseverything Lip Oil is a decadent lip oil which hydrates the lips as well as giving the perfect amount of shine to them. It comes in a pretty chrome pink tube and costs just £6, which is very reasonable compared to a lot of higher end lip oils. 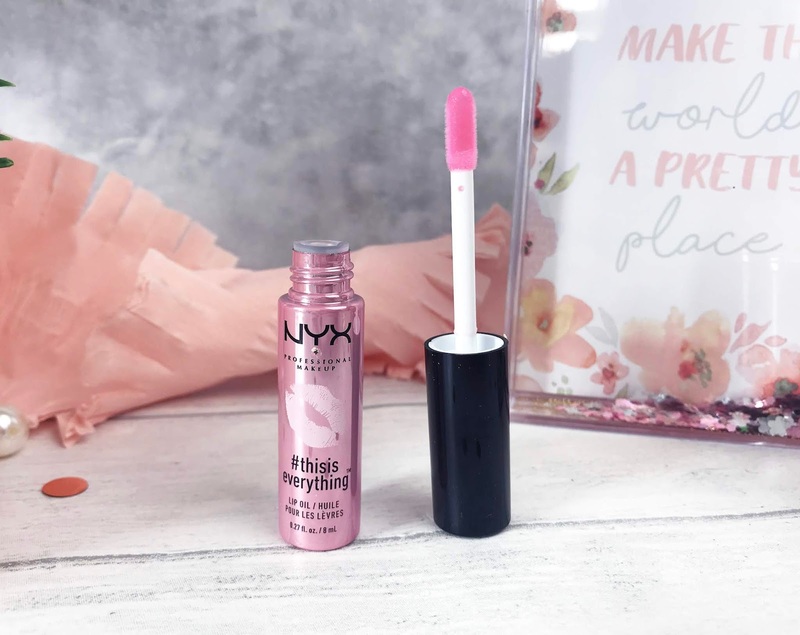 The NYX #thisiseverything Lip Oil isn’t sticky or greasy on the lips, and has been created using a unique blend of oils, including almond, avocado, rosehip and jojoba - all the goodness for the lips and is even scented with vanilla-cherry blossom. I have been applying this morning and night and my lips are in such great condition and super soft. Seen as Mr Sunshine has made an appearance, I have been faking it with the Charlotte Tilbury Healthy Glow Tinted Moisturiser (£35). This cream features ingredients to give your skin a healthy, natural glow and is also unisex, so both men and women can wear it as the cream is so natural looking on the skin. 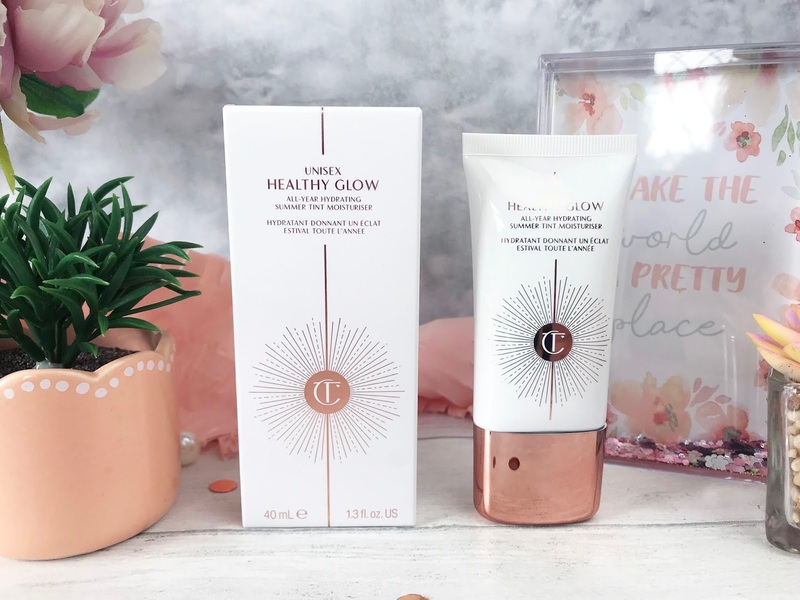 Healthy Glow has been formulated with natural tan pigments which once blended into the skin give that natural-looking tan to the face, and natural moisturising actives to regulate the moisture levels of the skin. When you apply Healthy Glow to the skin, it comes out in a white colour, but once moisturised into the face and neck, blends into a colour-less finish, leaving your skin looking super dewy and glowy, and can be used either on its own or underneath your regular foundation. I have been making a more conscientious effort to use face masks at least three times a week, and once I have been particularly loving is the Body Shop Japanese Matcha Tea Pollution Clearing Mask (£17). The Body Shop released a collection of face masks a couple of years ago, but this is actually the first time I have tried one. 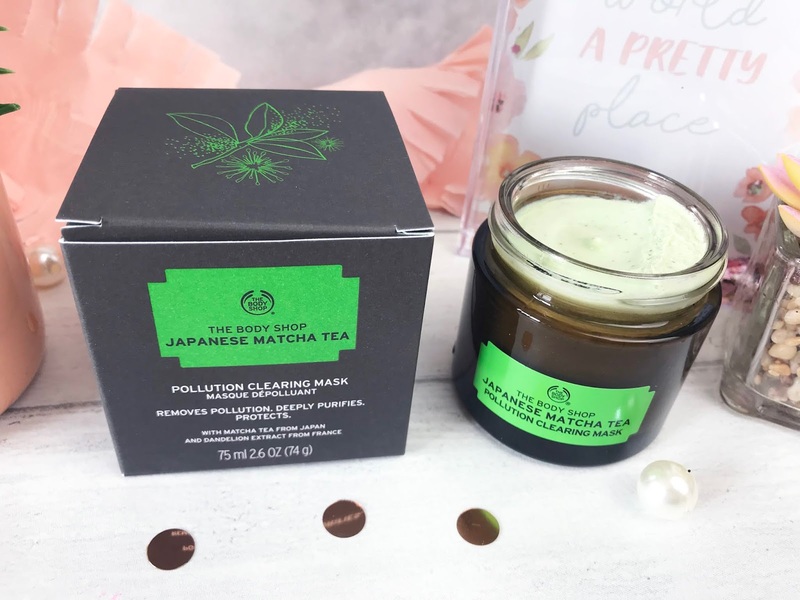 The Pollution Clearing Mask is enriched with matcha green tea from Kakegawa, Japan, dandelion extract and Mexican aloe vera to give an indulgently creamy 100% vegan mask which deeply purifies and gently exfoliates the skin to rid it of city pollutants and everyday impurities. It smells incredible, really fresh and natural and it makes my skin feel so much clearer and healthier each and every time I use it.The packaging is also spot on! My regular all-time favourite primer is the Benefit Porefessional Primer, but since hormones wreaked havoc with my skin, my foundation isn’t settling very well, so I thought I would try out the Becca Velvet Blurring Primer (£32). It is a liquid to powder primer, which works to radically even the appearance and reduce the visibility of skin discolouration, pores, fine lines and other skin imperfections. I have quite a few of the Becca Primers, and when I first used this I thought I had bought a faulty one as it came out like water, but once I blended it into my skin, I soon realised it is supposed to be like that. 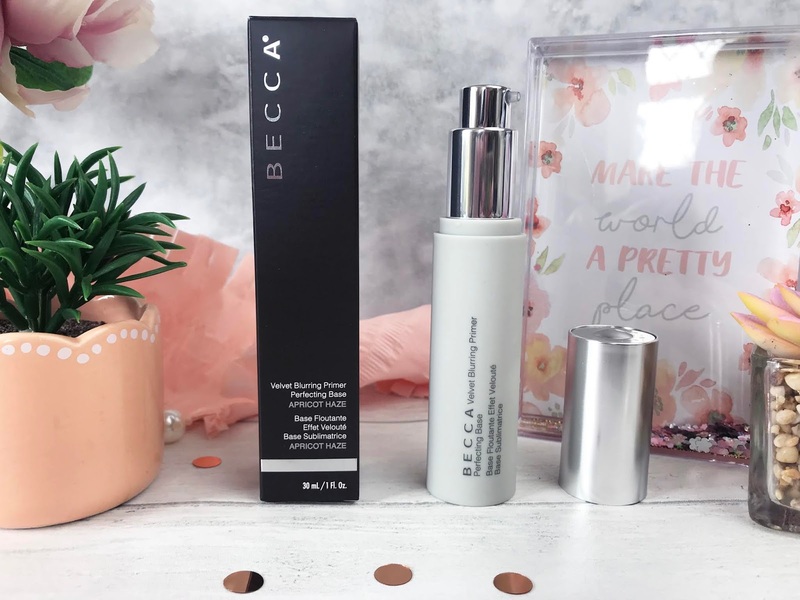 Becca often release revolutionary products, and this is definitely one of those as I don’t know how it manages to go from a watery liquid to an expert blurring primer, but it sure does. The Velvet Blurring Primer is an ultra-light weight primer which leaves the skin feeling so soft and smooth, a little like baby skin and makes the perfect base for foundation application. I have definitely been more than impressed with this little gem. One of Clarins most recent releases include the Clarins SOS Primers (£26.50), which comes in eight different shades, for different skin concerns. I chose the Green shade as I have quite a lot of redness on my face, and green is an excellent colour for neutralising that. 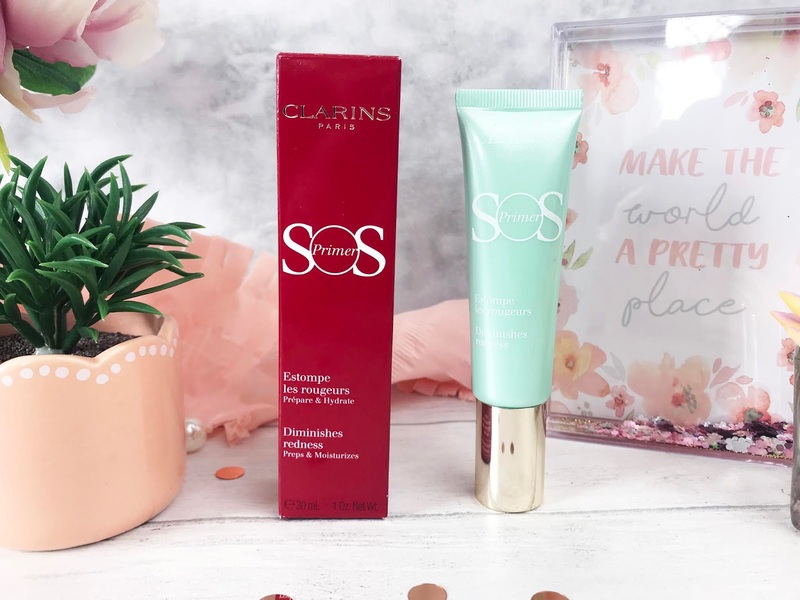 The SOS Primers have been created for dull and tired complexions, to prep, correct and illuminate skin tone, using a combination of pearls and soft-focus powders to instantly blur any imperfections, allowing makeup to sit and stay beautifully all day. They contain Organic Sea Lily which provides the skin with 24 hour hydration, and Clarins’ unique Anti-Pollution Complex protects the skin from environmental aggressors. The Green shade does look quite scary when your first pump it out of the tube, but once blended in to the skin, its neutralises any redness and leaves the skin super soft and well-prepped for makeup application, although you can of course use it on its own. Because I have been using a lot of liquid lipsticks recently, I have been ensuring my lips are smooth as can be before application by using a Lip Scrub. 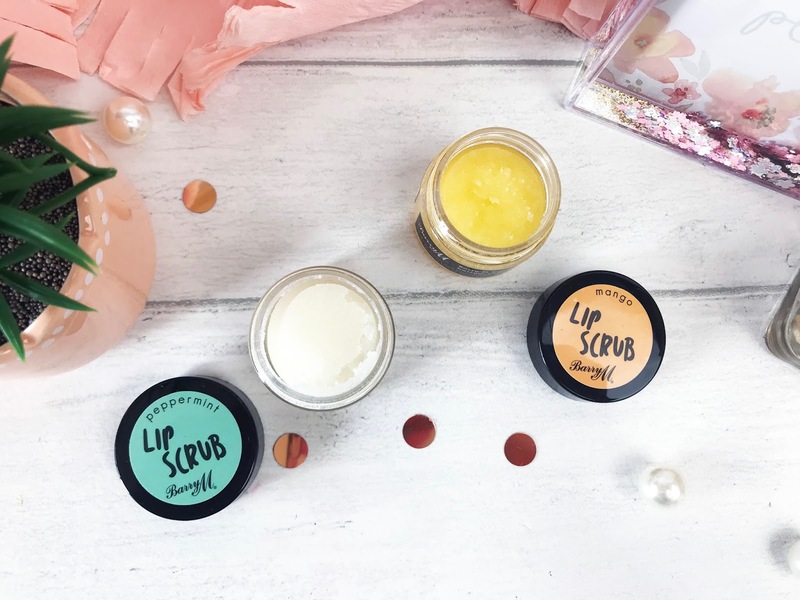 Barry M have released their own versions, with these little pots of Lip Scrub, which are available in Peppermint and Mango scents and cost £4.99 each. These exfoliating sugar scrubs contain Vitamin E and Olive Oil antioxidants to help prevent and reverse skin damage in addition to Avocado and Jojoba Oils to soften and hydrate the lips. They are quick and simple to use, by rubbing a small amount of the scrub over clean lips, for a gentle exfoliation, and then rinsing off. With any exfoliating product I wouldn’t recommend over-using as that could damage the skin, but once a day or less is perfect. 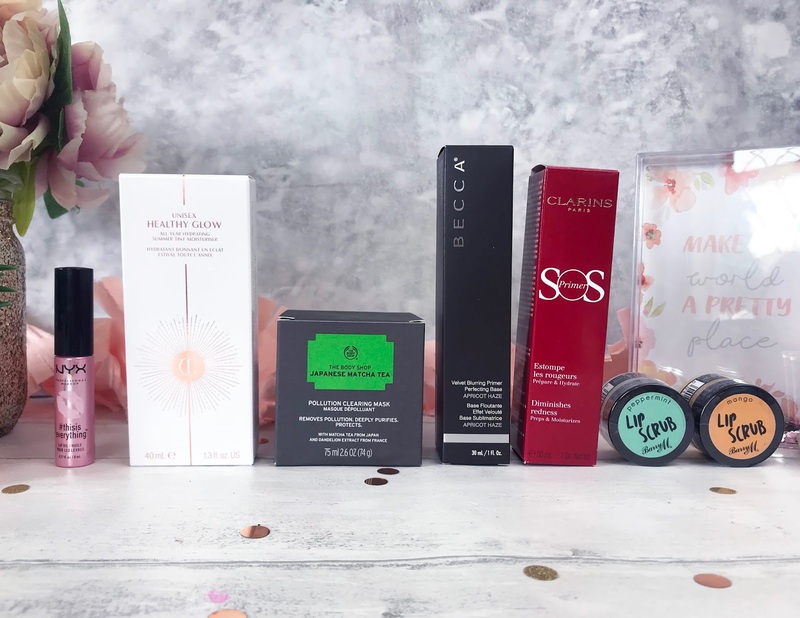 Which products were you loving in May?